I’m surrounded by the snowy peaks of the French Pyrenees, but I can’t even breathe in the crisp mountain air. Instead, I’m cycling up the Col du Tourmalet, and huffing and puffing with every pedal. 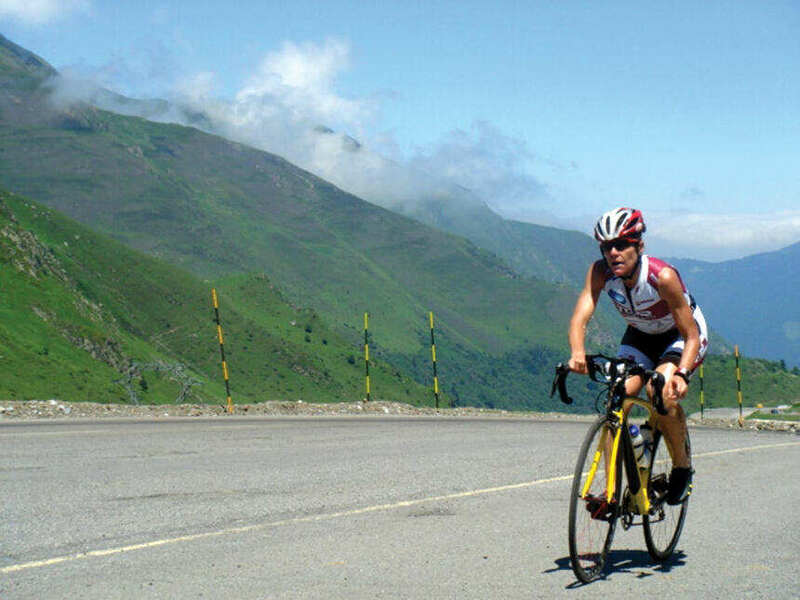 Standing at a thigh-wrenching ride of 2,115 metres, it’s the highest road in the region and a Tour de France staple climb. Champion cyclist Marion Clignet glides right past me. For her, the Tourmalet is just one leg of the Tour’s arduous stages. Now retired, Clignet began cycling at the age of 22 when she was diagnosed with epilepsy and lost her driver’s licence. Placing second at the 1993 Tour Cycliste Féminin International de l’Ardèche (the unofficial women’s Tour de France), and winner of six world titles and two Olympic silver medals, Clignet makes the ascent seem effortless. If only I could muster half of it myself. Stretching the Spanish border, the Pyrenean roads wind and weave into mountain clusters. It’s no surprise the region has hosted the Tour for more than a century. Last year it was the Cugnaux-Luz-Ardiden and Pau-Lourdes stages that were part of the approximate 3,400 kilometre race. Another challenge to the riders’ risky passes is the famed vent d’autan—the region’s hot, dry wind that blows from the Mediterranean Sea and can gust up to 80 kilometres an hour. 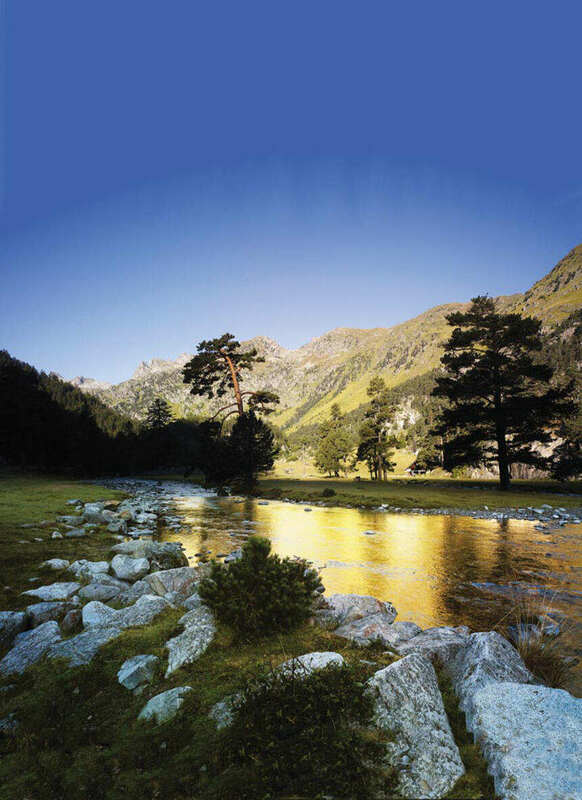 Majestic beauty of the French Pyrenees. While the pros have to race by the scenery, as a traveller, you’ll want to take advantage of the natural and breathtaking sites. The Pyrenees’ high season is July and August, so your best bet is to visit during fall or spring, and the Cirque du Gavarnie is a must-see. In the heart of the Pyrenees National Park, the three summits of Mont Perdu at 3,352 metres, Marboré Peak at 3,248 metres, and Taillon at 3,144 metres, frame a spectacular view, including one of the world’s tallest waterfalls, Le Grande Cascade de Gavarnie. The stunning beauty of Cerisey waterfall. For the more adventurous, consider opting for downhill skiing or mountain biking. 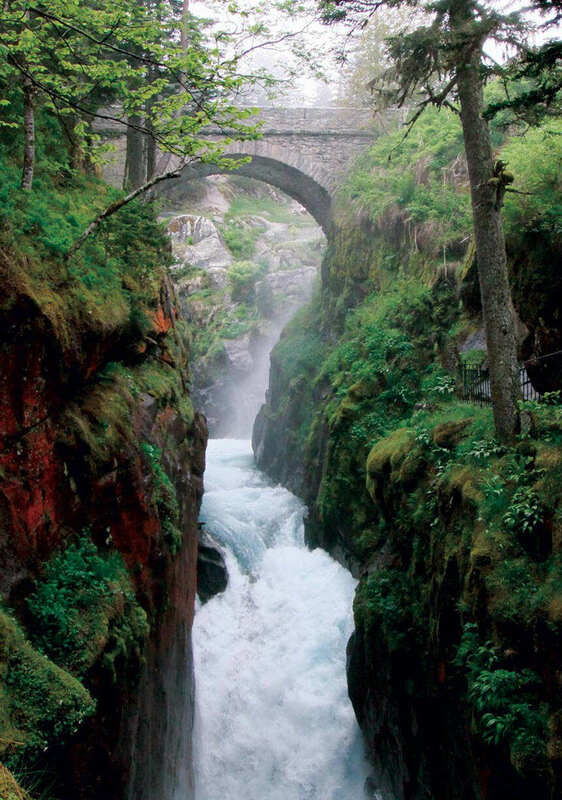 If you’re in the town of Cauterets, explore the historic Pont d’Espagne (Bridge of Spain). Straddling mossy cliffs, the Cerisey waterfall gushes through an old footbridge and though located a distance from the actual border, it once served as a mule route to France’s southeastern neighbour. If you can, continue hiking to Vignemale, one of the highest mountains in the French Pyrenees (at 3,298 metres), which towers over the turquoise waters of Lac de Gaube. Though a car took me up the rest of the Tourmalet, I still felt invigorated—if not just from the breathtaking view. Whether you’re up for the challenge of the climb or you’d rather a more scenic route, several options are available. If you are going to brave a major climb, it’s best to go early in the morning in summer; and, if it’s a long trip, you may want to travel to the location by car the day before and start your ride early the next day. 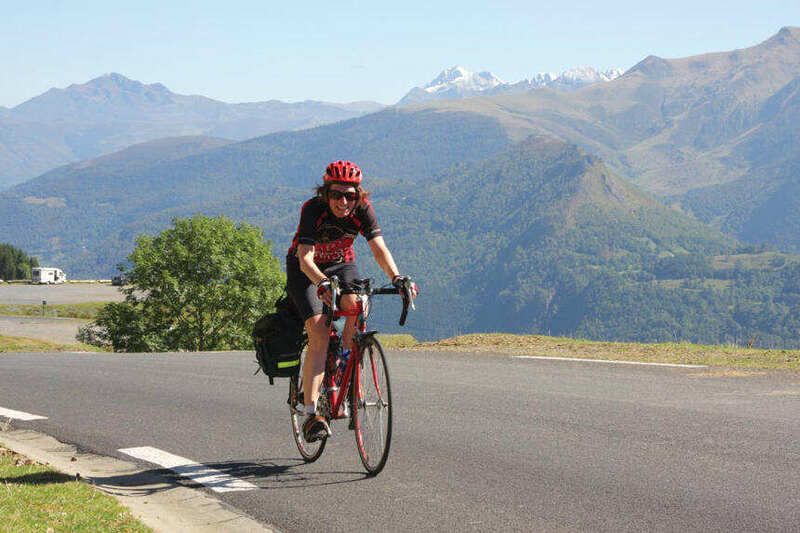 Kate Doyle cycling the French Pyrenees. For a novice route, try the Voies Vertes des Graves (at 27 kilometres). The green path goes through the heart of the Pyrenees, with many sites along the way, including a medieval tower, nature reserve, mountain peaks, and the riverbanks of Gave de Pau. For the more active cyclist, take the route through Aveyron, home to 10 mountain towns classified as France’s most beautiful villages. At a length of 700 kilometres, the route is divided into seven stages, with an average altitude of 1,451 metres. No longer battling the climb, I take a deep breath and admire the view: lush green pastures, misty peaks, and clusters of charming stone cottages, their slate roofs glimmering in the sunlight—definitely worth the struggle.